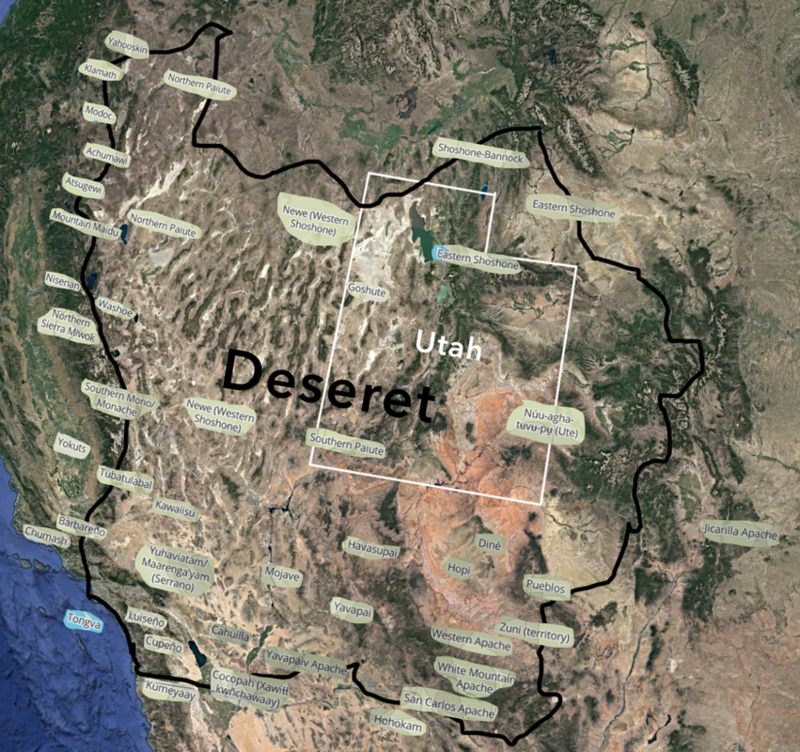 The proposed State of Deseret, formed in 1847, was never recognized by the U.S. Government. Because it was established while the area was still Mexico, the theodemocracy of the early CJCLDS continued acting as if it existed until the 1870's. The name "Deseret" comes from a Book of Mormon word for "honeybee." The CJCLDS saw themselves and honeybees as industrious and communal. So, they chose this name. I now wonder if it may have also been because of the power structure of a beehive. Remnants of this name exist in contemporary Utah, "the beehive state," in many of the names of the CJCLDS's companies, like, Deseret Books, Deseret Industries, and Deseret News. I don't know if the state of Deseret and/or Utah have ever been recognized by any of the peoples whose land was colonized by the CJCLDS.